Literacy Source is governed by a Board of Directors that meets on the fourth Thursday of every month in Lake City. Board members, who serve a three-year term, help support and enhance the Literacy Source mission by participating in long-range planning, providing overall program guidance, building a stable financial base for Literacy Source programs, and representing the organization and its mission to the broader community. If you are passionate about learning and literacy, interested in working to further immigrant rights, and ready to dig in and participate on a working Board, we'd like to hear from you! Each year the Board does a self-assessment and determines which skills/backgrounds might be missing or would further enhance our organization. We are currently in need of additional members with professional skills in the areas of law, finance, PR/communications, advocacy and human resources. We are always looking to recruit culturally competent Board members who represent our diverse community, and we absolutely appreciate the lived experience of immigrants on our Board of Directors. The most effective board members have good interpersonal and listening skills, the ability to work in a team and support group decisions, and a great sense of humor. To learn more about serving on the Board, contact Executive Director Lynn Livesley or call her at 206-782-2050. After several years as ED of the Literacy Council of Seattle, Jennifer is excited to continue her passion for empowering adults and families via the tremendous work of Literacy Source. Jennifer is a life-long educator, and taught literature and composition at the community colleges before focusing on ESOL and basic adult education. In her time at Literacy Source, she would like to focus on educating the community about the critical role adult education plays in issues of equity and social justice. In her spare time, she has been known to be a bit obsessed with heirloom tomatoes and has grown over 20 different varieties at a time in her small Ballard garden. Lourdes (Lulú) came to know Literacy Source and its mission when she began volunteering as an ESOL instructor at the Fremont location, shortly after her move to Seattle from Chiapas, Mexico back in 2010. As a Lake City neighbor, she is excited about the possibilities for both the organization and the community in this new location. Lulú is also involved in work with other nonprofits, including the Annual Latina Symposium and the Phinney Cooperativa Preescolar en Español, where she also serves on the board. She is a graduate and former ESOL and German as a Foreign Language instructor of the Universidad Autonoma de Chiapas. Lulú is in love with the Pacific Northwest, and enjoys gardening, cooking, and dancing with her husband and two young children. At an opportune moment when she was winding down her 30 year career as a Physical Therapy practitioner and large department manager, Leslie discovered Literacy Source. She began as a tutor in Fremont in 2011, discovered her love of teaching ESOL, and went back to school to get her teaching credential. Since then she has volunteered at Literacy Source as a classroom teacher, teaching at many different levels of literacy and now also mentoring the tutors who work with her students. Leslie has been in Seattle since 1981, having moved from her home state of Massachusetts. She married her hospital romance sweetheart 31 years ago and they now have 2 daughters, both in their 20s. She is an avid gardener, an amateur naturalist and loves being in the mountains all year round. Andres grew up in Buenos Aires, Argentina, until the age of 16, when he immigrated to sunny South Florida along with his family. He began his professional career in the non-profit sector, including a short time consulting for local governments, working as a GED Teacher in Boston, and six very rewarding years at a behavioral health & addiction treatment facility in Miami. Andres later switched careers to become a Certified Public Accountant and currently works as a Corporate Auditor at Boeing. Andres moved to Seattle in 2018 and enjoys exploring the beautiful Pacific Northwest region. He is proud to join Literacy Source, as he is passionate about the power of immigrants to make a positive contribution to society. Bridget has worked in the local non-profit sector for over 25 years in the fields of marketing and fundraising. In 2015 she started bcAnderson Consulting, a full-service marketing and fundraising consulting business to help smaller non-profits and businesses. Bridget is a rare Seattle native and spends as much time as she can outside enjoying the Pacific Northwest sunshine (both liquid and otherwise!) attending sporting events for her two teenage boys, beach-combing, walking her beloved dog Henry, hiking, gardening, and skiing. She lives in the Lake City neighborhood. Bridget has a BA in Communication and Journalism from Western Washington University. Elena is an Instructor of Communication Studies and Equity and Social Justice at Shoreline Community College. Elena earned her Ph.D. in Intercultural Communication and Performance Studies at Southern Illinois University and has taught at universities in California, Illinois, and Utah. Her courses and research often focus on the intersections of cultural identity (race, class, gender, sexuality, ability, etc.) and communication. As a Seattle newbie, she looks forward to establishing local roots and getting involved in the community through Literary Source. Elena seems to always be searching for the perfect hobby, whether it's salsa dancing, rock climbing, or maybe, back to Tai-Chi or how about Qigong?! Eric is a long-time member of the user experience design and research team in the Fremont offices of Adobe. Eric volunteered to teach Math, Reading Comprehension, and Science to GED students at Literacy Source from January 2015 through June 2016. He found this to be very rewarding because the students were so friendly and passionate about their work. Eric was raised in the Seattle area and studied cognitive and perceptual psychology at Whitman College (B.A.) and U.C. Berkeley (Ph.D. program). A lifelong learner, he continues to be interested in science, languages, history, social justice, and human rights. He and his family are bilingual (French Canadian relatives) and had the opportunity to live abroad in Bucharest, Romania. For fun, Eric likes to travel, sing and play his ukulele, ride his bicycle, or play board and card games with family and friends. Justine has extensive experience working in the international field in both fundraising and programs. She moved to Seattle in 2012 after spending eighteen months in Dhaka, Bangladesh managing a youth development program and building partnerships with local organizations. Justine also served as the Associate Director of Development for CARE USA in both their San Francisco and Washington, D.C. offices. Justine’s earlier career was in cultural exchanges, which solidified her love of travel and meeting new people. Justine is proud to be part of the Literacy Source community and believes strongly that the work we do helps create a more just and equitable world. Ralph is an attorney at MacDonald Hoague & Bayless, where he practices immigration law. He assists individuals, families, small businesses, and multinational companies in navigating the immigration process. Ralph is a native of China, and speaks fluent Mandarin. He is an avid reader, and enjoys the great outdoors. Reza is the Founder and Director of Bright Future Program and is currently the Director of Basic and Transitional Studies at Seattle Vocational Institute. He has been working with high school students for more than 30 years - the majority of it here in Seattle. Reza was born and raised in Tehran, Iran. Reza earned a bachelor's degree in political science from the College of Political and Social Studies in Tehran. He holds a Master of Education degree in Instructional Communication from Eastern Washington University. He has been recognized professionally for his innovative work through multiple awards, including the KCTS Golden Apple Award in 2007, the Governor's Best Practice Award in 2009, and the Seattle Community Colleges Trustees Lifelong Learning Award in 2011. Reza and his wife have lived in the Lake City area for more than 30 years and have two daughters. Shellie is a former Literacy Source student who first attended classes in 1999 reading at a fourth grade level. She has since gotten her associate degree in business. Shellie is currently serving on the board of WE LEARN as secretary and also belongs to the Women’s Perspectives committee. In addition, she has worked with ProLiteracy speaking out for adult learners. She has presented workshops and webinars on teaching other adult learners how to write and creating their stories into speeches. 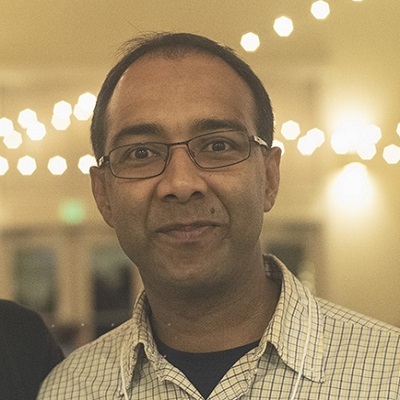 Srijan is the Executive Director of Hunger Intervention Program (HIP), a non-profit with the mission to increase food security for underserved populations in north King County. Srijan left his career as a Software Engineer after working nine years at Microsoft and decided to switch his profession to social work. He has Masters of Social Work degree from University of Washington. Srijan is passionate about shared power structures in institutions where people have the power to make decisions that affect their lives. He lives in Lake City neighborhood with his wife and toddler son. When not working or reading a book, he likes to enjoy the beautiful Pacific Northwest outdoors. Theresa joined the Literacy Source community in 2000, working as a volunteer tutor for several years before joining the board in 2008 and serving terms as Secretary, Vice President, and President. She previously worked as a rehabilitation counselor, manager, and consultant for 25+ years, the majority of which was spent with Washington State's Division of Vocational Rehabilitation. She is passionate about the intersection of literacy and community engagement and looks forward to helping Literacy Source continue to provide a safe, welcoming place for students to achieve their goals in the years to come. When she is not herself reading, you can most likely find her hiking in the North Cascades or trying out a new recipe. Tracy brings over 20 years of international development, non profit management, and adult education leadership experience to her role on the Board. She currently oversees a non profit organization committed to public-sector healthcare systems strengthening and health advocacy efforts in the global south. Tracy came to know and deeply appreciate the Literacy Source approach to adult education during her time as the Executive Director of the SEIU Healthcare 1199NW Multi Employer Training Fund, which supports workplace-based education programming for entry-level healthcare workers, many of whom come from refugee and immigrant communities. She is a former Director of Grants in the Seattle Community College system, and a (long ago!) ESOL instructor herself. The social justice commitment integral to the Literacy Source mission drives her dedication to this work. Vicky is a lifelong reader and book lover, originally from New Jersey but in love with Seattle and the beautiful Pacific Northwest. After 15 years with Amazon working in books and publishing, she recently moved to the Bill & Melinda Gates Foundation where she now works to bring financial services to the poor, especially those in East Africa and South Asia. She is a passionate world traveler and is also on a quest to visit every one of the US National Parks - 26 down and only 33 to go!